Though many years have passed, Bill White still vividly recalls the stroll he and his late wife took along the beach underneath the towering sand dunes in Arcadia on a beautiful summer day. White, longtime Chairman of the Flint-based Charles Stewart Mott Foundation, took the walk in 2001 as his foundation weighed a substantial lead gift to GTRLC for preservation of what is now known as Arcadia Dunes: The C.S. Mott Nature Preserve. For more than 75 years up to that point, the Mott Foundation had given generously to scores of great causes in Flint and far beyond, enriching countless lives through a wide variety of charitable efforts. But the Foundation at that time had done very few land protection projects, so GTRLC’s request wasn’t a sure thing. It was Bill’s late wife, Claire – granddaughter of C.S. Mott himself – who impressed upon Bill the enormous opportunity that presented itself. Here was a chance to forever protect one of Michigan’s signature landscapes – a chance that doesn’t come along all too often. The 3,600-acre Arcadia Dunes preserve exists today only because of Mott’s lead commitment and the hundreds of local supporters who rallied to the cause during the Coastal Campaign, which also protected the fabulous Green Point Dunes and the Betsie Dunes preserve further north. Now, as part of the Campaign for Generations, the Mott Foundation has provided $4.5 million for a stewardship endowment to ensure that Arcadia Dunes remains beautiful for many years to come. GTRLC Executive Director Glen Chown is “enormously grateful” for Mott’s gift to the Campaign for Generations. 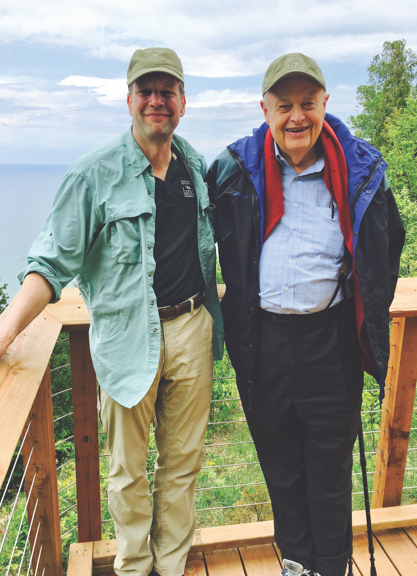 Sam Passmore, who directs the Mott Foundation’s environmental program, said the Foundation is proud to have played a role in saving Arcadia Dunes. The diverse project protected a wide variety of landscapes beyond the stunning beachfront and resulted in several thousand acres of protected, working farmland. The Mott Foundation has always put a premium on long-term vision, particularly in terms of building the capacities of the organizations it supports. 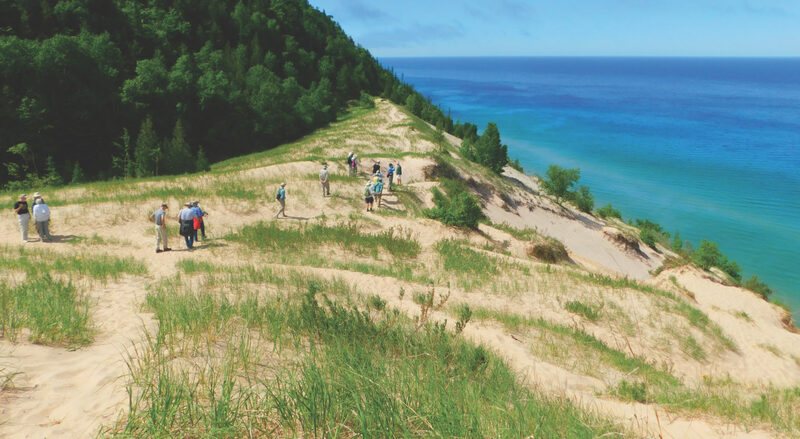 It has regularly given GTRLC operations grants in the years since the Coastal Campaign, in part to ensure proper stewardship of Arcadia Dunes. GTRLC’s stewardship tasks on any given property are significant, but perhaps no property is as demanding as Arcadia Dunes, in part because of its sheer size, length of trail and diversity of habitats. White said the Foundation understands the importance – and urgency – of balancing public use with protection of valuable natural features. White also hopes that facilitating the excellent care of Arcadia Dunes will advance GTRLC’s land protection efforts throughout the region. 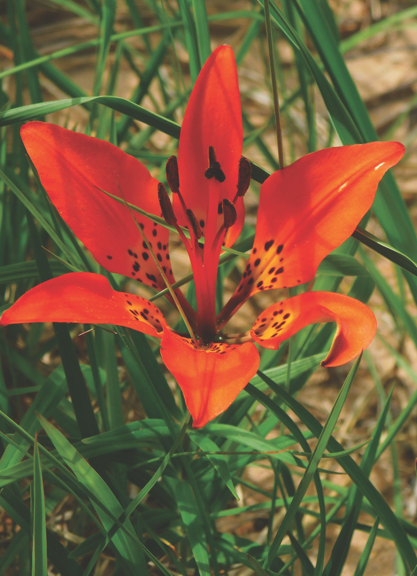 Mott’s stewardship gift was the latest in a relationship with GTRLC that dates back to Mott’s very first land protection grant, which helped create the Antrim Creek Natural Area in 1995. Passmore and White said GTRLC has shown a demonstrable ability to deliver on promises, building Mott’s confidence in GTRLC. “It’s great enthusiastic leadership, and not just leadership, but leadership with a vision and a proven ability to get results and implement the vision,” White said. In addition to its generous stewardship gift, the Mott Foundation also provided $500,000 for a Universal Access (UA) trails at Arcadia Marsh and Arcadia Dunes. For more on that and GTRLC’s other UA efforts, see the story on page 22.